My mother-in-law just arrived from her trip to Guimaras Island. Of course, she brought home Guimaras mangoes for us to enjoy. 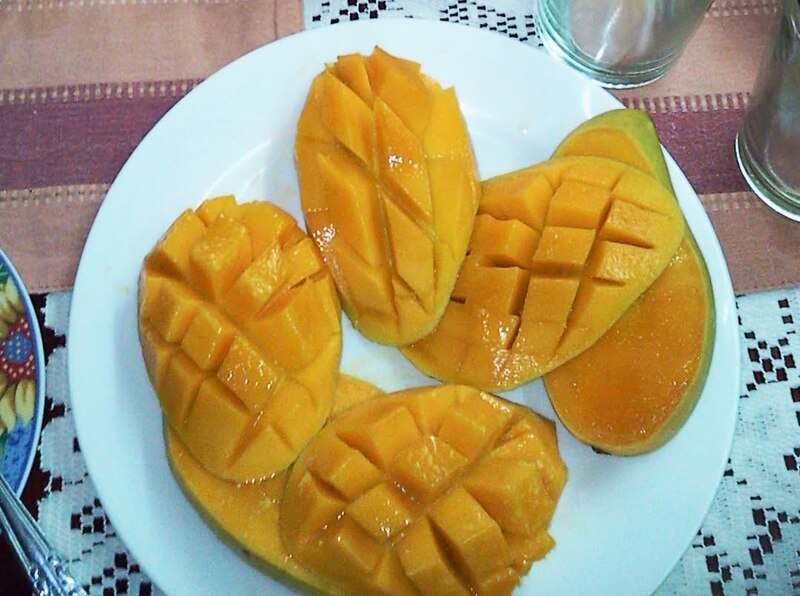 Guimaras mangoes are known to be the sweetest in the world. Reportedly, Guimaras mangoes are served at the White House and the Buckingham Palace. Such is the island's pride of their mangoes that they hold an annual Manggahan Festival (Mango Festival) to showcase their mango products. But of course, I had to restrain myself from eating too much of these sweet mangoes. I've read that 120g of ripe mangoes have a glycemic index of 60 so it's in the mid-range. I only ate half a slice and only during lunch time to be safe. 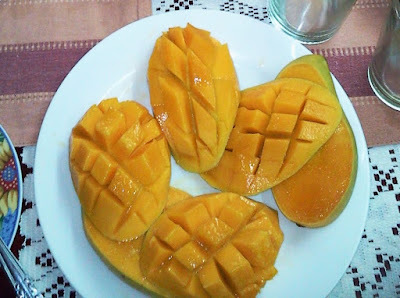 Mangoes are rich in Vitamins C and E, beta carotene, and fiber which is good for the body especially for diabetics like me. An Australian confirms that eating mangoes can help in lowering bad cholesterol. Then again, only half a cup is recommended a day. Everything in moderation as always. And if you're eating mangoes and other fruits, be prepared to sacrifice the other carbs like what I am doing.